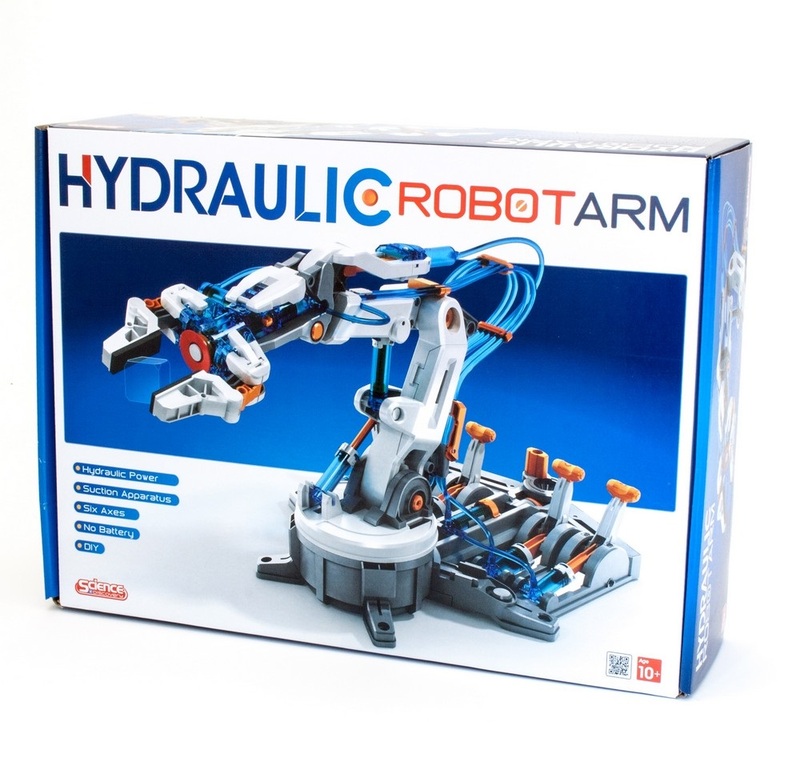 The Hydraulic Robot Arm kit takes approx. 5 hours to assemble, making it a great hobby project. 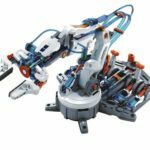 Once complete it can be made to lift and rotate items up to 50g in weight, with either it’s gripper claw or suction cup. 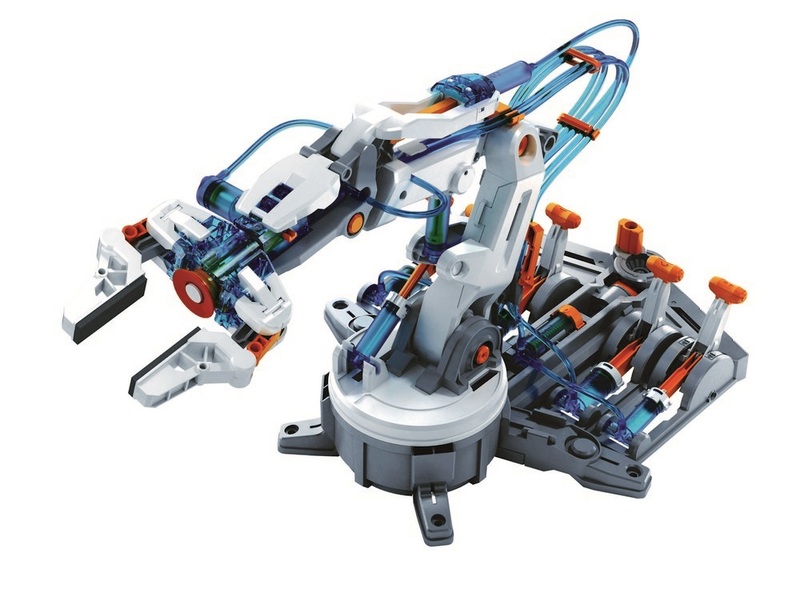 Features One Hydraulic Robot Arm Includes 229 pieces and instruction manual DIY model kit that becomes a remote controlled, hydraulic powered robot arm! 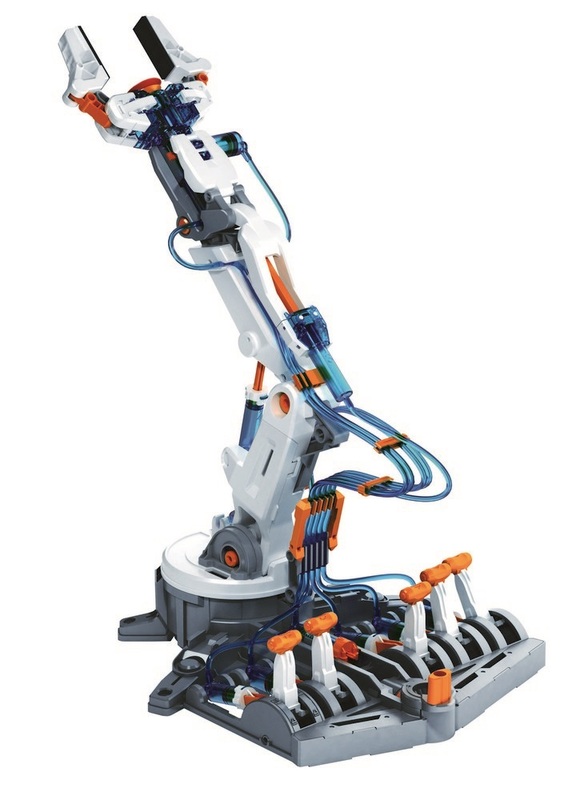 Educational: demonstrate how hydraulic power systems work Completed Robot Arm can lift objects up to 50g using it’s gripper claw or suction cup Full range of movement: 44° elbow motion and 45° shoulder motion 180° wrist rotation and 98° wrist mobility 270° base rotation Integrated braking system for accurate execution of commands Has a vertical reach of 41.90cm and a horizontal reach of 31.5cm No batteries or motors: just add water to power Retail Boxed Assembly time approx. 5 hours Ages 10+, Adult supervision recommended.